A beautiful, hardy and adaptable tree from NDSU. 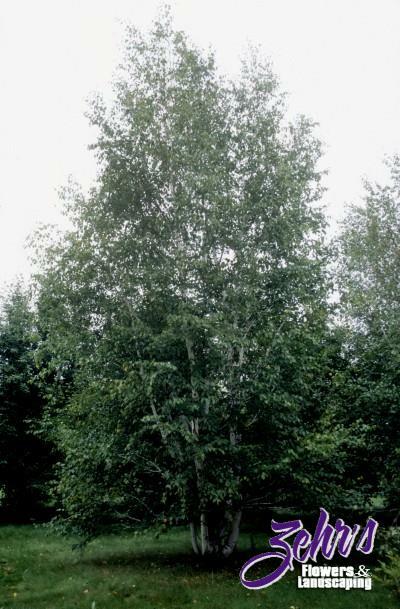 This graceful birch has an upright-oblong to semi-pyramidal habit. The bark is white with blackish markings. Autumn brings a golden-yellow leaf color. Resistant to bronze birch borer attack.